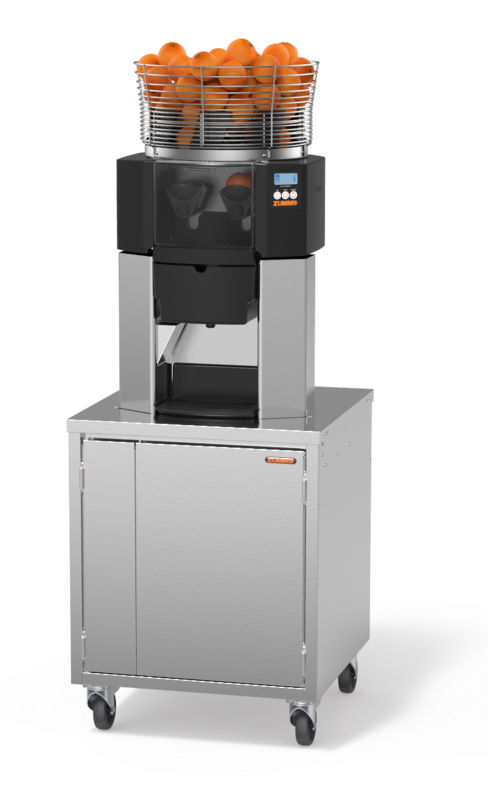 The neat Z14 Cabinet is the ideal choice for establishments where you serve a lot of juice, but don’t have much space. Two filter options allow you to regulate the amount of pulp in the juice. 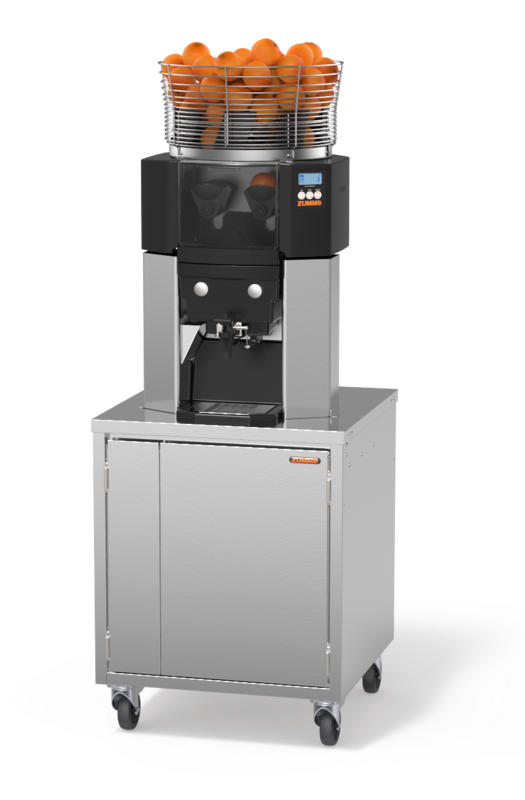 The Zummo Z14 Cabinet Machine is suitable for oranges, limes, lemons, mandarins, grapefruits and pomegranates. 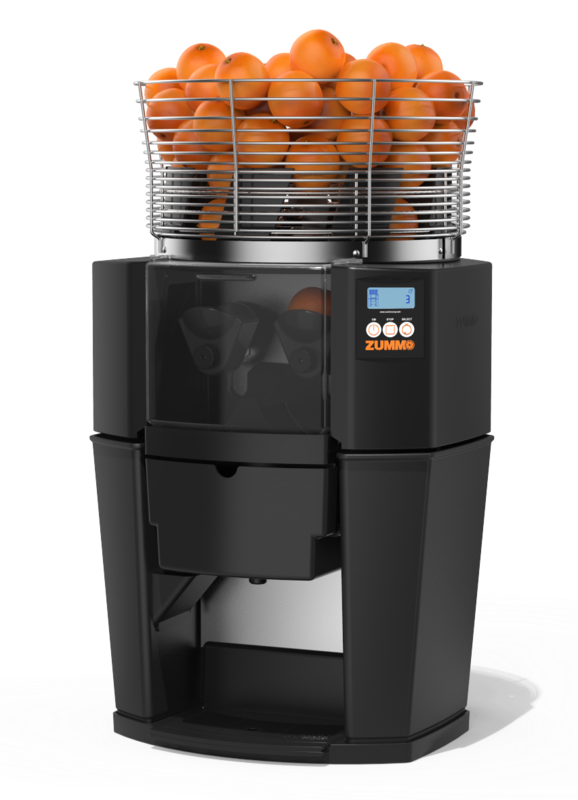 The top-mounted rotating feeder holds up to 9 kg (20 lbs) of fruit. This regulates the amount of pulp in the juice, enabling you to tailor the juice to the customer’s preference. Drip tray and grille. 2 x 7 litre waste peel collection bins built in to the machine. Automatic triple safety blocking sensor with thermal cut-out.